← Fresh vegetables, herbs, teas, creams and a Blast for the Past! Posted on September 23, 2014, in Art, Business, Community Economic Development, Cuisine, Heritage, Landscapes/Geography and tagged art, business, festival, Gros Morne, Newfoundland, Small business, vacation, woody point, writers. Bookmark the permalink. 6 Comments. too many people head straight off the boat in port aux basques to the national park & miss so many beautiful areas along the way. i am lucky enough to meet a lot of tourist in “the grand codroy park” in doyles before they head north so i get the oppertunity to give them any information we have to offer. i was so nice when you could cross the bay in the ferry from woddy point. Good article. 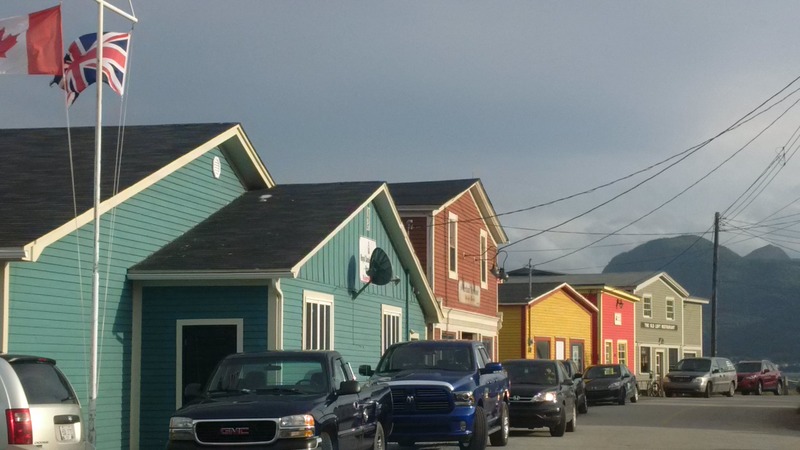 Yes, Woody Point is the jewel of Gros Morne. The surrounding towns on both sides of Bonne bay are special too. You never really mentioned the Lighthouse in Woody Point. It’s a wonderful place to visit. Just sit on the rock there, look out on the bay and enjoy the scene. No problem seeing whales and local fishing boats going by. It’s truly an awesome icon of the community. If you want a really good time besides Jeff, drop into one of the kitchen parties at the Merchant Warehouse. The Boys will give you an authentic Nfld “time”. You named off accommodations and missed quite a few all of which are listed on the town of Woody Point’s website. There are also a lot more attractions that you missed. There is a local boat tour. Amongst other things. You really should check out the website. We was there some years back and we loved it and hope to return one day. The people are some of the friendlyes we have ever met. Just love it their. Thanks for a great article with wonderful pics about the town of Woody Point where my wife Kathy and I have retired. We love it here! The jewel of Gros Morne, we think! Hope you take in the music of Bill Coates(great accordion player with many tunes in his bellows..lol)), Cyril Abbott (da man on the uglystick who never misses a beat), and myself, MikeMadigan, who plays all the right chords!) aka “The Boys” this summer in WP or TR (Trout River).